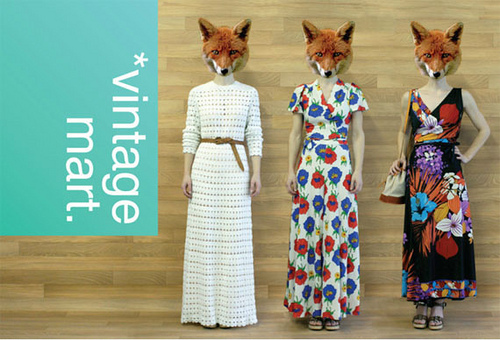 Remember when I mentioned the last vintage mart sale and how I found a great dress? If you don't, no worries, I just want you to know that the sale is on again! It takes place over at the studio at 5445 De Gaspe. This time it's only open until 5pm Staturday. So, hurry up and go see what wonderful finds there are waiting for you! Sorry for the late notice on this one! I've been getting sick with a cold, so I feel extra slow... I'll return to the blog once I feel a bit better.